The stock market is a great arena for people to make a lot of money, however, for many beginners, all the hustle and bustle of stock trading may cause a lot of confusion, especially if you are not familiar with the many terms and tactics used for negotiations. Stocks are probably the most important and common items traded in the stock market. These are actually shares of certain companies, which are publicly sold and traded. Whenever people buy a portion of stock in a particular company, this means that they acquire a share of ownership and investing in that specific business. Through this, a stockholder is given certain rights towards the company such as a vote in stockholder meetings as well as his or her financial share from the company’s earnings. 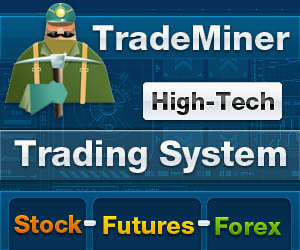 A stockbroker is the person who handles the actual trading of stocks. He or she does the negotiations to buy and sell the stocks in behalf of the investors and the companies involved. The many various types of brokers may include full-service, online, auto-trade and discount brokers. A bull market is a market that manifests a continuous increase in the value of its stocks as well as a steady growth. Generally, with this type of market, investors gain an optimistic attitude and may want to buy more rather than sell stocks. Bear markets mainly characterize significant losses and declines in a particular market. With this type of behavior among stocks, most investors would generally want to sell more of their stocks and may be pessimistic about investing. 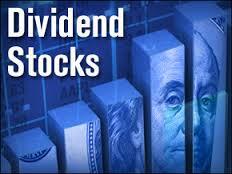 Dividends are added or bonus payments given to stockholders after a profitable quarter. With this sum of money, many people may often reinvest on more shares of stock, which allows individuals to earn so much. Futures, just like stocks, are also traded in the market. However, these are purchased against future costs of commodities. You can earn from these, if in time, the actual price of commodities become higher than what you paid for the futures. On the other hand, you can also lose money if the price becomes lower that what you paid for. A day trader is the person who buys and sells stocks aggressively in one day. Usually, he or she does this for several times each day in order to make quite a few small profits within the day. Trading on margin may be similar to trading stocks with the use of borrowed money. Through this, you can purchase shares of stock for only a portion of the actual price. The remainder of the cost can be paid upon the actual sale of the particular stock, or on a later date. These terms are only a few of the most commonly used language in stock trading. And upon encountering them, you may certainly have the impression of how intimidating the stock market can get. With the many complicated terminologies and tactics, you may easily get backtracked if you do not know enough about what you are dealing with. Remember that if you are new at doing business in this arena, make sure that you take the extra mile to learn more about more terms as well as strategies on how you can best maximize profit. A little hard work will certainly get you far, and one of these days you will realize how all of this can pay off.